Nura Natural Skincare only uses the finest ingredients, that are pure and completely free of additives. I must say the difference is immediately noticeable. They are known for the Nura Rosehip Oil. Rosehip Seed Oil contains one of nature's richest sources of essential fatty acids (Omega 3, 6 & 9), vitamins and antioxidants. It can be used for naturally toning the skin, minimizing the appearance of wrinkles, preventing scarring, broken capillaries, reducing fine lines and improves the skin's moisture levels, leaving the skin looking radiant and with a healthy glow. 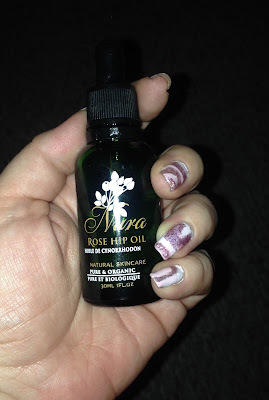 Rosehip seed oil is considered a ”dry" oil, because it soaks into the skin easily, and does not leave a greasy residue. It is a wonderful hydrator, and penetrates dry or damaged skin immediately. 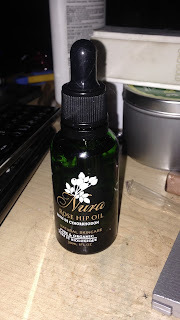 I used this oil straight from the bottle as a moisturizer. I used 3 - 4 drops in the palm of my hand and using my ring finger, I would gently pat the areas that needed moisture. 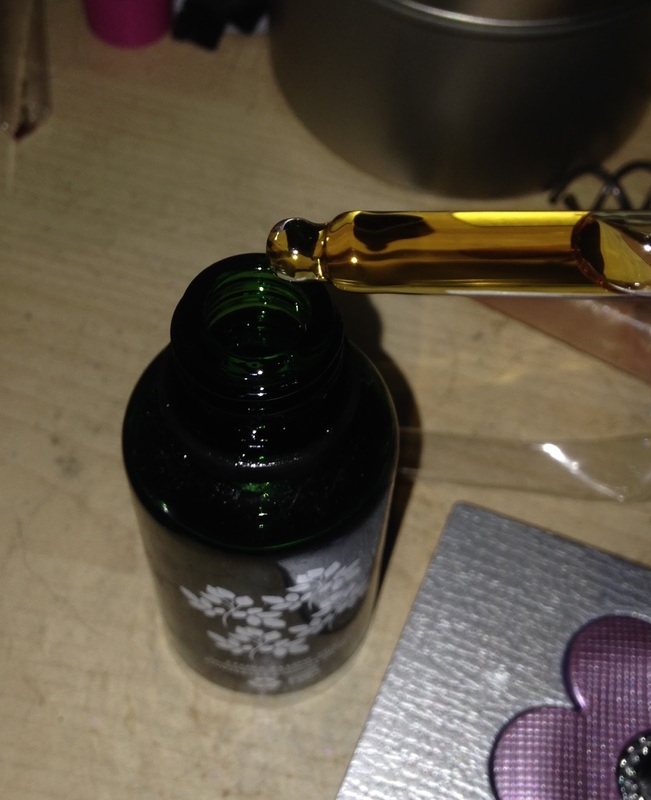 I liked how the natural heat from my finger warmed up the oil, making it feel like a massage for my face. I liked how areas such as my under eye area felt plumped up, reducing the fine lines. I also used it on other dry areas like my elbows, knees and as a cuticle oil. Although it is fragrance free, It does have a nice light scent. It is a gentle oil; rosehip is also an excellent choice for those with sensitive skin. As soon as I used it under my eyes, the wrinkles and fine lines were visibly reduced. I've used this product everyday for almost 2 weeks and my skin feels smooth, it looks bright and toned. I would recommend using this product if you have any of the above skin issues. It really helped my skin! 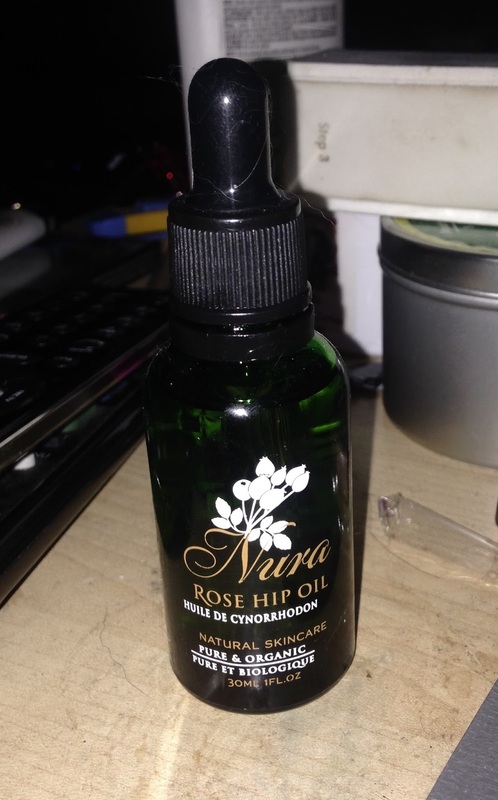 To purchase Nura Natural Organic Cold Pressed Rosehip Seed Oil on Amazon, click HERE!